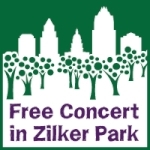 The Austin Symphonic Band presents its traditional Fall Concert in Zilker Park! Bring a picnic and spread your blanket under the pecan trees at the beautiful Hillside Theater. Then watch the stars come out as the band showcases music as big as the great outdoors. Check out our Facebook Event page for more details and updates. Please note: This concert is weather permitting. In case of rain or other inclement weather, please check the ASB Facebook Page for updates or call (512) 956-7420 for information. Cancelled events will not be rescheduled.